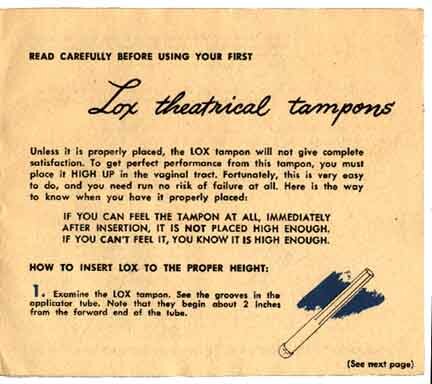 Read an introduction to the tampon. See the B-ettes tampon. See the tampon directory. More ads for teens: See a Modess True or False? ad in The American Girl magazine, January 1947, and actress Carol Lynley in "How Shall I Tell My Daughter" booklet ad (1955) - Modess . . . . because ads (many dates). 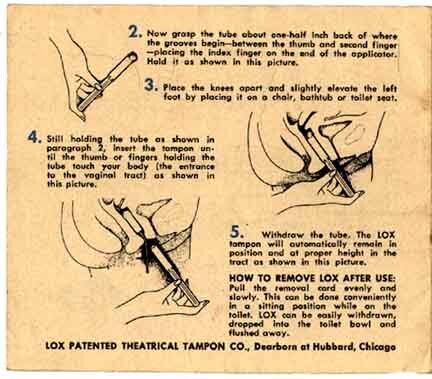 Read an introduction to the tampon. See the tampon directory. 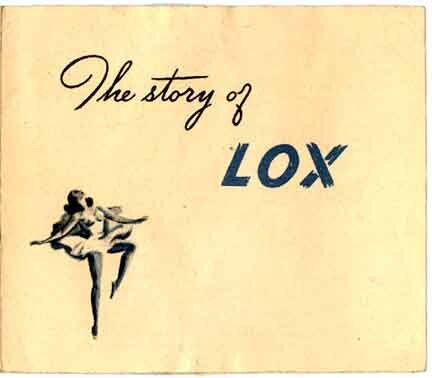 Procter & Gamble kindly donated the box of tampons in 2001 as part of a large gift. 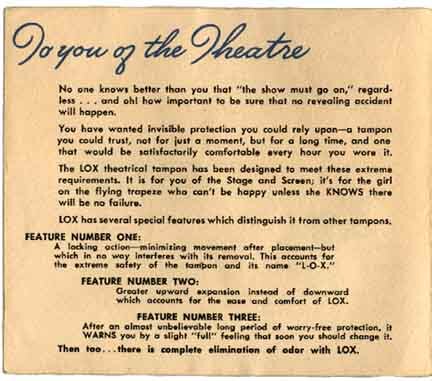 The lack of a postal code in the address, introduced in 1943, suggests that this tampon appeared before that time. END | Read an introduction to the tampon.